Brian Lapham, Projects Manager for RealTime, LLC. Brian Lapham brings personality, kindness, thoroughness and IT expertise to the RealTime team. 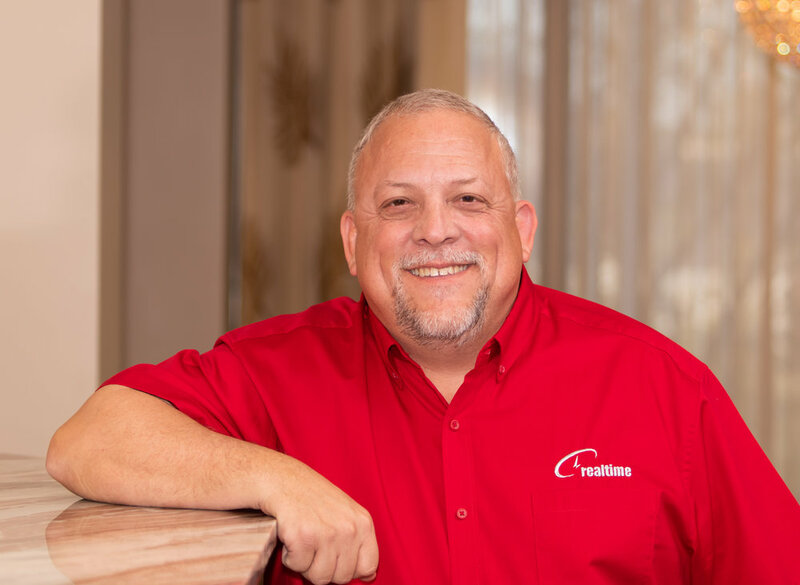 His 20 years of IT experience makes it easy for him to transition between helping clients with basic IT questions to making complex projects happen. He is also the 2nd half of the IT Shorts team so he gets to flex his marketing muscle throughout the year. “I enjoy the ability to assist clients today in more ways than ever before,” said Brian. Brian has two of the most important traits of an excellent service provider: an attention to detail, and the perseverance to solve problems. With certifications in both Microsoft and ITIL, RealTime clients have come to appreciate his enthusiasm and expertise. Brian stays busy in his off-hours, too. He has coached a variety of sports over his children's career including youth football, baseball and fast-pitch softball. Most days you can find him coaching his daughters' softball team or fundraising for her musical pursuits. You could say Brian loves his family. You could also say he likes smoking butts equally as much. He is a master meat-smoker and should probably open his own bbq business in retirement. But for right now, his coworkers get to enjoy the fruits of his bbq labor several times a year with his homemade sauces and smoked butts. Brian attended Illinois Benedictine College in Lisle, Illinois and is an active member of the Army National Guard. He currently resides in the Wiregrass with his wife, two children, all of their extracurricular activities and his smoker.